The governing body has specific statutory responsibilities and its main tasks are: to provide a sense of direction for the work of the school; to support the work of the school as a critical friend; and to hold the school to account for the standards and quality of education it achieves. The governing body’s overarching role is to act as a critical friend and to support school staff in their work to provide the best possible standards of education, and to help children throughout the school to realise their aspirations and expectations within a safe and secure environment. The day to day management of the school is the responsibility of the Head Teacher and his Senior Management Team. Apart from the teacher governors and the Head Teacher, most of the school’s governors are parents, come from the local community (co-opted governors) or are representatives from the church. Governors can come from any walk of life, and consequently have a range of skills to complement one another in supporting the school’s main functions. Our governors are drawn from the local area and as such, have a strong commitment to establishing the school to serve Newcourt. Between them, the governors offer a wealth of experience and expertise in primary education, school governance and church schools and are committed to establishing the school to serve the community of Newcourt. The governors are supported by a team of staff from the Diocesan Board of Education which oversees church schools across Devon. Lucy has lived in Exeter for over 25 years, is married to Jonathan and they have one son. She has previous experience of being a Parent Governor and Chair of Governors at her son’s school, St Leonards CofE Primary. Lucy and her family are active and long standing members of Trinity Church, Exeter. Lucy has worked in the private, public and charitable sectors, initially in financial services and then in a local authority. Her area of expertise is learning and development and she currently leads the training team in Guinness Care, a local social care provider. 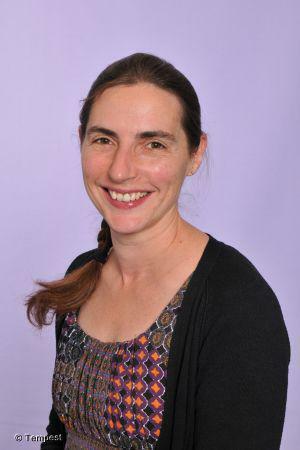 Having gained a lot of knowledge and experience in her governor role at St Leonards, Lucy is really pleased to have an opportunity to contribute to the development of a new Church of England school in Exeter, especially as it is situated within the parish of Trinity. Jonny is the Vice Chair of the governing body and is responsible for the Christian distinctiveness of the school and property. He has been vicar of Trinity Church since it started in 2003. In 2005 Trinity Church moved to Clyst Heath to serve the people of this parish with the good news of Jesus Christ. The church currently meets in Clyst Heath primary school and the Newcourt Community Centre. As well as Clyst Heath, King’s Heath and Southam Fields, Trinity’s parish now also includes Newcourt, Greenacres and Seabrook Orchards. He is married to Jane and they have four school age children. His main passion in life is to see people come to discover and respond to the love of God in Jesus Christ. He is also keen on sport and music. His main sport at present is cycling, though he will participate in a number of other sports given the chance. He plays guitar, trumpet and sings, though not all at the same time. NoteJonny has attended all Full Governing Board Meeting since September 2017. John has lived in the Newcourt area of Exeter for over 6 years, and is a member of Trinity Church, where until January 2017 he was Associate Minister. He and his wife, Kate, helped to launch the Newcourt Community Association (NCA) in 2012 that supports and encourages the development of community life throughout Newcourt – the same area served by Trinity Primary School. He is one of twelve NCA trustees. He and Kate also lead the Digby and Newcourt Community Choir. John was one of the Interim Governors that helped establish Trinity School in Newcourt. I am the Local Authority Governor for Trinity C of E primary and Nursery School. Before retirement, I taught for nearly forty years in a wide range of schools. I have close links with the Cathedral Church of St Peter at Exeter and also with Belmont Chapel. I am passionate about every child having the opportunity to benefit from an excellent school education and I feel privileged to be a governor of this new and growing school. My particular area of responsibility is to be staffing. I look forward to meeting pupils, staff and parents over the coming months. I can be contacted via the school reception office. Ian Brown is a foundation governor of Trinity School. He has lived in Newcourt since January 2015 and has a wife and two young children, not yet of school age. 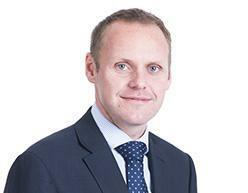 Ian is a solicitor in Exeter, specialising in accidents abroad and insurance. He grew up in Ottery St Mary and has spent his working life living in Exeter. He is a member of the congregation at Trinity Church, plays hockey and enjoys cooking. 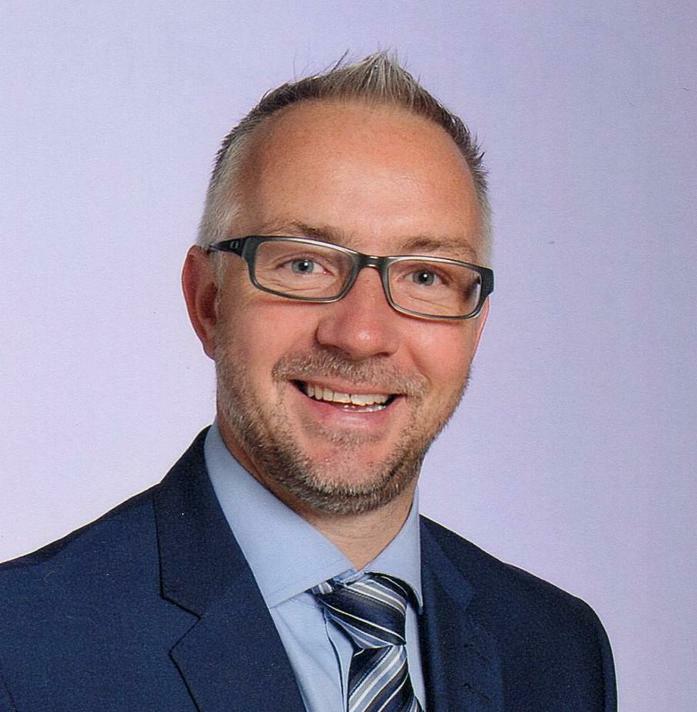 Mark is the governor responsible for overseeing the teaching and learning within the school, as well as being one of the governors responsible for the performance management of the headteacher. Mark is a Science teacher in a local Secondary school, specialising in Physics. He has experience teaching in the Midlands as well as the South West. Mark lives near the school with his wife, Hannah. They worship at Belmont Chapel in Exeter. Mark is passionate about showing God’s love for people in the different communities he’s a part of. He enjoys watching sport and plays touch rugby, and whenever he can will get out to walk or cycle in the beautiful Devon countryside. Stacey has lived in Newcourt since 2014 with husband Jon-Paul and their two children. She is experienced marketer who currently works as Business Development Manager for Exeter CITY Community Trust. Stacey has extensive experience and knowledge of marketing in education, publishing and theatre. She has a keen interest in theatre, having studied and worked professionally in performing arts when she left university. Stacey volunteers her time to leading the communication team for Exeter’s ideas festival, TEDxExeter. I have been a teacher for 25 years – teaching in a range of different settings including inner city, rural and international. I am also a fully trained Montessori teacher and passionate about the early years. Until recently I served as an Exeter City Councillor and was part of lots of initiatives aimed at benefitting our great city. I am a mum to two grown up girls Nancy and Hope who are wonderful. I love yoga and swimming and escaping to the wilderness in my VW campervan. Kate is currently studying speech and language therapy at university, including working with children with language and communication needs in primary and pre-school settings. She is also a qualified accountant, with significant experience advising and auditing accounts for charities, owner-managed businesses and academy schools. Kate is a foundation governor, and has lived in Newcourt since 2016. She is a member of Trinity Church, and in her spare time enjoys swimming, reading and exploring the Devon coast and countryside. Roland has lived in Exeter since 2011 with his wife Leanne and in Newcourt since August 2013. Since then, they have added twin daughters to their family, both of whom attend Trinity School. He has worked in the NHS for over 14 years, in both research and latterly in governance and is also a qualified secondary school teacher, specialising in Geography. He is dedicated to his family and when not spending time with them, he can be found at the beach enjoying a spot of windsurfing. After growing up in Liverpool, I found myself in Exeter 28 years ago, via Nottingham, Germany, London and Bexhill on Sea. I have 3 grown up children and 2 young grandsons, who I love to spend time with. After my husband, who worked full time for the Church of England, died, I worked as a Teaching Assistant for several years before completing a PGCE. For 13 years I worked in a local Junior School and now work in many different school in Exeter and the surrounding area, as a supply teacher. I have been part of Trinity Church since it started in 2003 and am currently the Parish Safeguarding Representative. I am looking forward to getting to know Trinity School and supporting the staff, pupils and their families to dream, believe and achieve. children is special, and their welfare and learning is at the heart of everything we do. We have a commitment to the highest standards and highest quality in our work and in our lives, which is shared throughout our school family. I have been a teacher for 20 years and a Head and A Deputy for the past 7 years and aim to bring my experience to this new school setting. Sarah has lived in Exeter since she was a student, where she completed teacher training at St. Luke's - then met her husband, got married and stayed in Devon - who wouldn't?! They moved to Newcourt in June 2016. Sarah has three grown up children and having worked as a stay at home mum and home educator, she went back into education to teach SEND pupils and is now Head of Complex Needs at Mill Water Special School, Bicton. Sarah is a member of Trinity Church where she particularly enjoys being involved with music. She is a foundation governor, leading on Safeguarding and working with other governors on Headteacher performance management and SEND. Briony is one of two parent governors at the school. Briony and her husband have two sons and have lived in Newcourt for 6 years. Briony has 10 years experience in office management with skills particularly in the area of personnel management, team building and achieving results. She has a passion for education and communication, shown with a love for reading, writing and creative arts along with previous volunteering experience in primary schools. Claire is a Foundation Governor, lead on Community Links and SEND. She is born and bred in Devon and has spent 12 years living in Exeter, 5 of those in Newcourt. She is a member of Trinity Church, married to Keith she is currently full time mum to her 3 year old daughter. She is passionate to see the community working together and holds a number of voluntary roles to help achieve that.